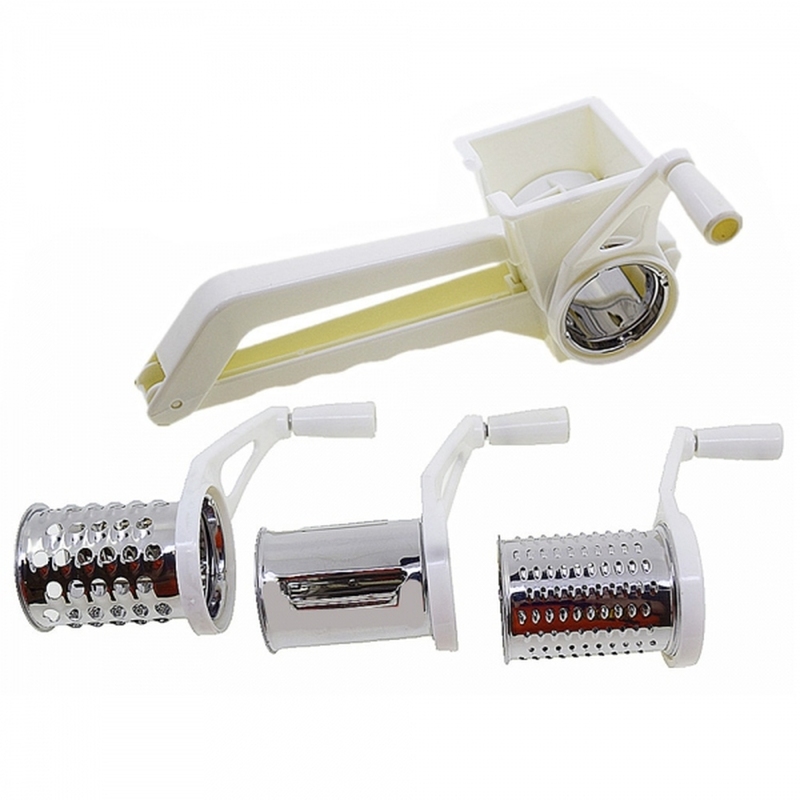 Plastic rotary (drum) grater with 3 interchangeable stainless steel drums for grating and slicing a wide range of foods. Supplied with 3 grating drums: for fine grating, coarse grating and slicing. Suitable for use with all hard and medium cheeses. The fine blade is perfect for grating chocolate and nuts. 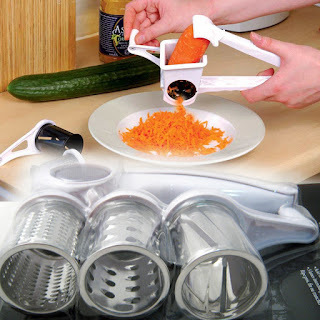 Safer to use than a traditional grater as fingers are kept safely away from the grating blades. Dishwasher safe. 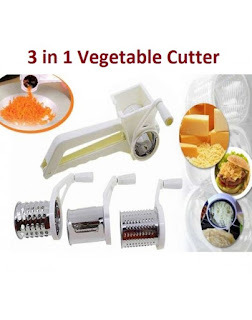 Easy to use: simply insert the desired grating drum into the plastic handle, lift the top and place cheese in the space provided. Lower the handle and rotate the drum arm so the grated cheese emerges from the side of the drum.